The vast majority of the ocean plastics originates from the land activities and not from the sea transport. And a big part of it is a kind of leak from advanced waste management systems, like the USA and the Japanese one. 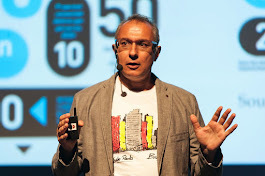 Few years ago, during a key-nore lecture in 2009 ISWA's conference in Lisbon, I concluded that the problem of ocean plastics is an indicator of our global inefficiency to manage waste in an environmental sound way even in what we consider advanced waste management systems! And this becomes more and more true, as the time goes by without any actual solution to that problem (for more see the 5gyres website). But now, there is evidence that ocean plastics and marine litter are not onluy a serious environmentla threat bot also an environmenttal catastrophe! A recent study (McIlgorm A., Campbell, H.F., Rule, M.J., 2011, The economic cost and control of marine debris damage in the Asia-Pacific region. Ocean & Coastal Management. 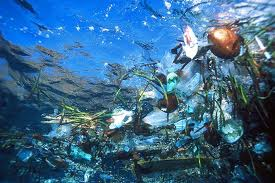 54: 643-651) has now estimated that marine litter in the Asia-Pacific region is likely to cost over US$1.26 billion per year in damage to marine industries. The study focused on the economic effects of marine debris in the Asia-Pacific region and calculated the cost of damage to marine industries for the 21 economies in the region. Marine industries (shipping, tourism and fishing) are estimated to be worth 3% of GDP for this region and, based on available statistics from Japan, it is believed that 0.3% of marine sector GDP is lost through debris damage. For example, if floating objects become entangled in ship propellers, or engine cooling systems become blocked, time available for fishing is reduced, while maintenance and repair costs increase. The tourism industry can also suffer if littered beaches deter visitors or development. Based on these assumptions, the study estimated the cost of damage to marine industries to be US$1.26billion per year. This is very likely to be an underestimate as data on marine debris are lacking. However, it clearly highlights the significance of the issue. Debris is also harmful to wildlife, and can therefore reduce ecosystem services - this is another important indirect cost to consider, but as there is presently no market value for these services, the study did not calculate these costs. Further calculations suggest that the cost of clearing up plastic waste in this region, whether at sea or on beaches, amounts to $1500 per tonne of waste, on average, although costs of individual clean-ups vary considerably ($100-$20,000 per tonne) depending on the type of waste and method. The costs of damage and clean-ups need to be weighed up against the costs of prevention, say the researchers, and setting a policy target for achieving an optimal level of waste at sea would be more economically feasible than a zero waste target. Community-based voluntary approaches, such as anti-litter campaigns, are also popular, but the study argues that greater efforts are needed to change public behaviour. Market-based instruments are less well used in marine litter prevention, but the study suggests they could play a role in some cases. Possible instruments to reduce overall rates of waste production include deposit-refund schemes, taxes on plastic goods to discourage purchase, and encouragement of recyclable packaging. I would take it that they end up there due to runoff from hilly areas that are also not the most 'taken care of' compared to others. Its going to be a while before we perfect our garbage ways and policies.